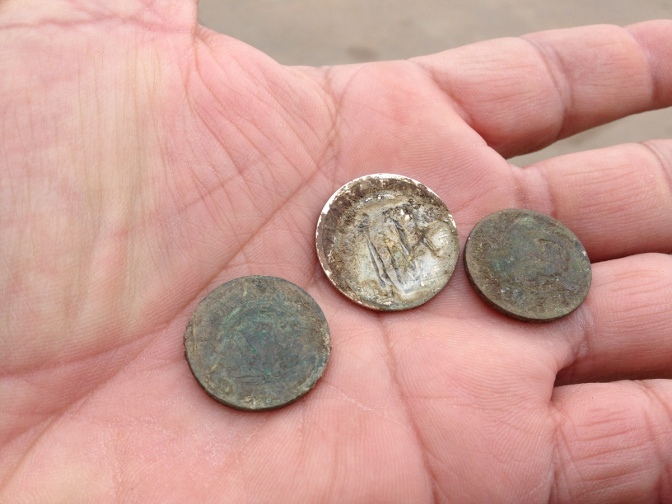 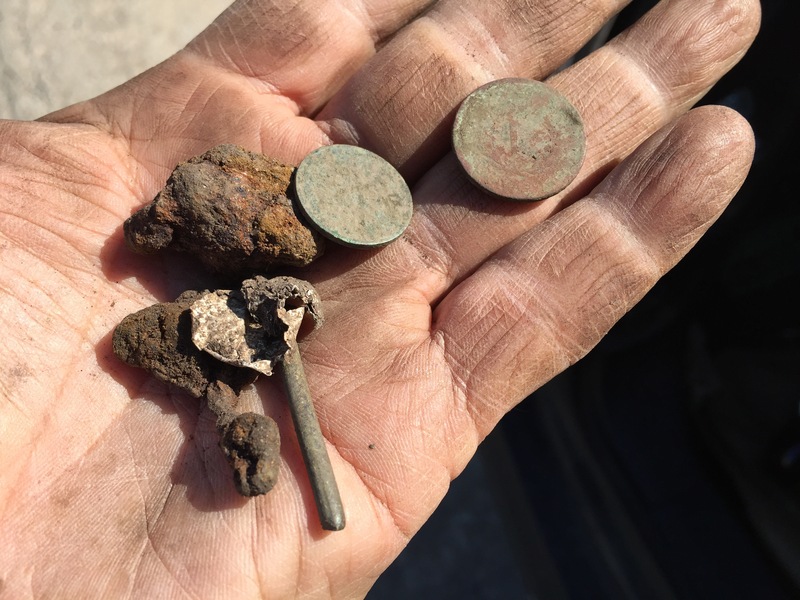 A guy I hunt with started burying old nickels and steel pennies and giving out the GPS coordinates to other people. 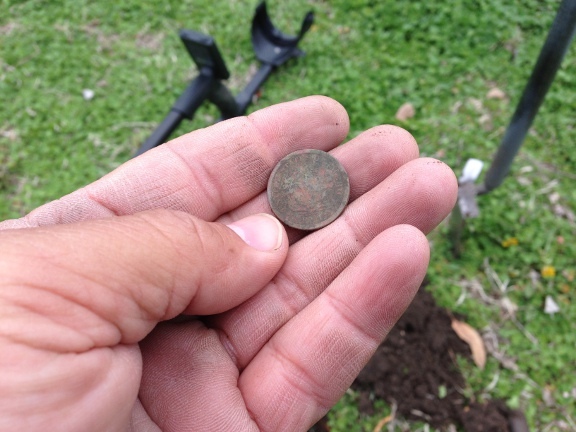 So far I’ve only hunted these a couple of times with no success. 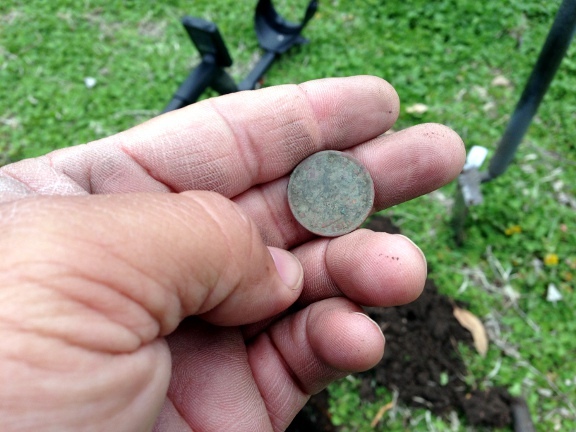 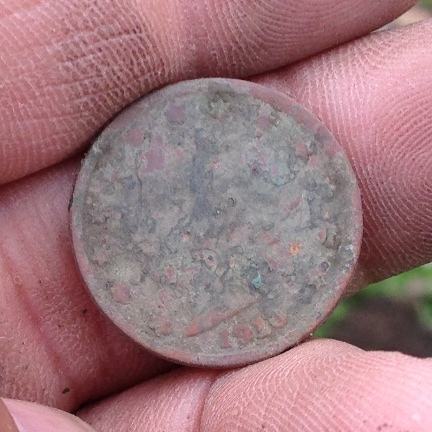 One of the nickels he buried was a 1900 V nickel and I really wanted it. 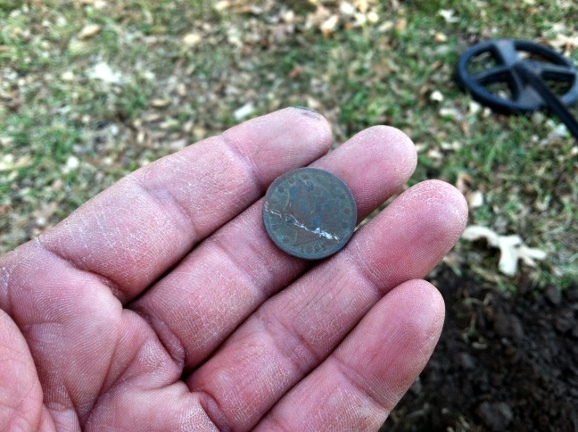 So, today after work, I went over to the park where the nickel was and using my iphone I located the general area. 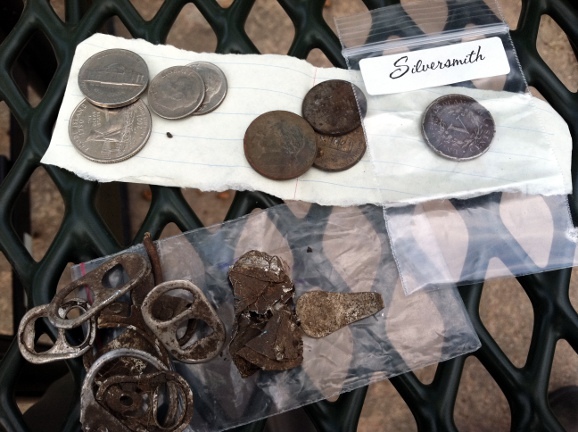 It took me about an hour to find the V nickel and in the process I dug up a Washington nickel, 2 memorials, and a few pull tabs. 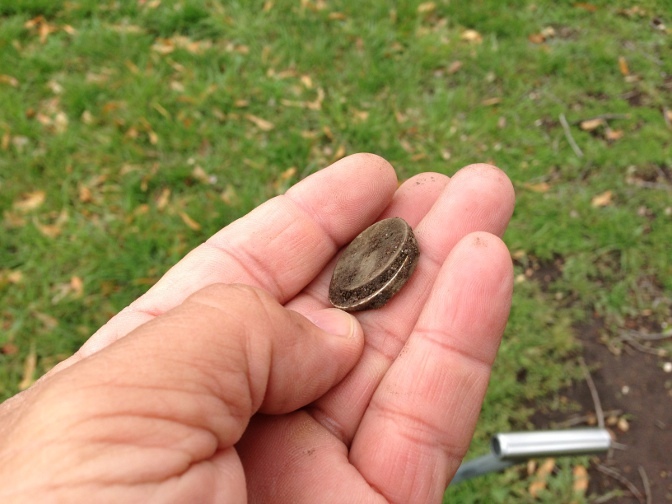 I also eye balled a recently dropped coin spill by one of the picnic tables.